Marx’s Das Kapital had a profound effect on me. It was as if I had found a solution to a major problem. I realise that acting is just one of the several vocations that men follow. Just as a carpenter or an engineer meets a specific physical requirement of his fellow-citizens by supplying them with a table or a machine, a playwright or an actor satisfies their psychological urge through his play or his role. Both types of work are equally useful to society; there cannot be any ‘gradation’ between them…. Those who have no idea of what Marxism is about think that it is a mere political theory. This is, of course, an erroneous idea. In effect, Marxism is a philosophy which can analyse every aspect of worldly life from the scientific point of view. An artiste is ever curious to know how much significance society attaches to his art, and he cannot help asking himself, “Do I occupy a place in society in keeping with this significance?” In this respect, it is Marxism which shows one the right way. I believe that in this modern age, the study of Marxism is as important to an artiste as it is to a sociologist. In practical terms, the communist movement also contributed in a major way to Sahni’s career as an actor and script writer, because of the significant role played by the Indian People’s Theatre Association. I discussed the IPTA before, right after reviewing C.I.D., because the IPTA was also significant to Dev Anand and, even more so, his older brother, Chetan. (These two brothers founded Navketan Films in 1949; their younger brother, Vijay, would join the company a little later.) Chetan became good friends with Balraj Shani, and between them they had an interesting little film-connected social circle, which apparently reached its peak of creativity during the making of Baazi. And when Sahni gets into that story, he goes well beyond the discussion of the IPTA and the Communist Party, to relate a bunch of very informative and amusing anecdotes. Some of this material was stuff I already knew, but then some was stuff that was completely new to me. For instance, I didn’t know that Balraj Sahni was the one who gave Johnny Walker his big break in movies, by concocting a scheme to get Johnny – then known by his real name Badru – to pretend that he was a drunk and pester the Anand brothers and Guru Dutt during a meeting. Apparently, no one but Balraj knew that his friend Badru was an actor playing a role, and when the truth finally came out, they were all highly impressed with Badru’s acting skills, at least at playing a drunk (which is, I guess, how he got the name Johnny Walker). There are lots of juicy tidbits about Bollywood film personalities in this book, plenty of gossip and that sort of thing – at the same time that there is this heavy intellectual discussion of Marxism, the communist groups, the revolutionary element of the Independence movement, etc. And though I would have liked to see even more of the latter stuff, I’m glad that there was as much as there was, and I really like the fact that so much social discussion could be mixed with so much breezy entertainment. That odd mixture is kind of like…you know… some old Bollywood films. P.S. You can also find a very readable (and printable) pdf copy here. Stumbled Upon My First Bollywood Memoir – From An Actor Whom I Really Can Admire! The timing was curious, because earlier this week I had had an interesting dinner conversation with a couple of people that touched upon two seemingly different topics, the artistry in old Indian films and the works of Karl Marx (subjects that would not have seemed at all unrelated from this actor’s point of view ). And this same week, I had watched and greatly enjoyed the movie Garam Hawa. And then in an e-mail exchange with one of my (fellow) Bollywood fanatic friends, the subject came up about another film in which this guy did a really fine acting job. 3. This song from Rattan (1944), might be the most famous one sung just by Zohrabai. To his credit, Atul posted this in February. (And he pointed out that it is, indeed, a tonga song.) It was Lata Mangeshkar’s favorite Zohrabai song, too, and she sung it in a tribute. Before starting this writeup, I’d like to thank Doc Bollywood for being kind enough to send me this movie on DVD, since I hadn’t been able to find it. Doc Bollywood wanted to review it also, so we decided to do a “joint review”; we are posting at around the same time and linking to each other. I will be referring to one other site, but there I actually read a review of the film, while I have not read Doc Bollywood’s review yet. (If I did, that might be cheating!) But I’m sure that Doc Bollywood’s writeup will be very informative and interesting, as the reviews at that blog always are. Like many people who look for this movie, my first reason to do so was the soundtrack. I had already fallen for the voice of Noor Jehan (and also her screen presence) from a bunch of other movies and clips even before I saw the songs in Anmol Ghadi. Then I was seeing song clips from Anmol Ghadi for quite a while before I got to see the film. These songs are all over YouTube, and it’s no surprise, because this is a significant soundtrack. Not only does this soundtrack contain some of the best and catchiest songs by Noor Jehan when she was still a star in Bollywood; it also contains great efforts by several other well-known singer-actors of the day and one by a then unknown guy who would soon become extremely famous. (We’ll get back to all that in a moment…) And this soundtrack was composed by one of the greatest music directors of all, Nausahad, who would later score movies such as Mother India, Kohinoor, Mughal-E-Azam and Pakeezah. 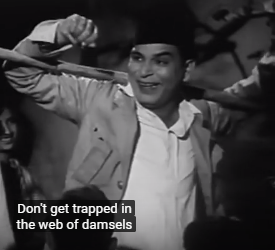 If you’ve seen a lot of old Indian films already, you’re bound to notice some very familiar themes in Anmol Ghadi. But would it be right to blame Anmol Ghadi if these plot elements seem overly familiar to the contemporary viewer? Remember that this was made in 1946, 10 to 50 years before any of the other movies you might be thinking of. Human beings are like dolls or puppets, unable to control their fate while the gods play with them… I’m sure most Bollywood fans can think of other movies that bring up that idea. For me, it immediately brought to mind Kath Putli, which was made 11 years later. In that one, the point is put across with vocals by Lata Mangeshkar over Vyajayanthimala doing puppet dances. That was superb, but this scene in Anmol Ghadi is almost as memorable, because of the lyrics and that voice – the voice, that is, of a 21-year-old Mohammed Rafi. Shortly afterwards, we get to see quite a bit of Chander’s mother. She is a woman who is sacrificing herself constantly to raise her son in spite of the odds against her. That probably sounds very familiar, but just remember that Anmol Ghadi came out more than a decade before its director, Mehboob Khan, gave us his famous Mother India. 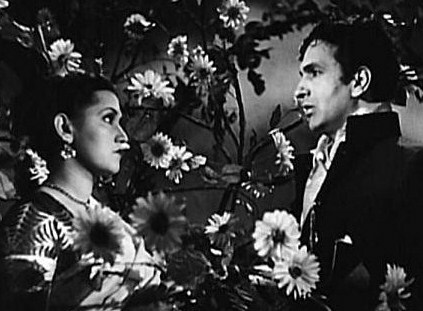 Chander at one point pours his heart out to his mother about his longing to see Lata again, and his mother tells him that he will be able to unite with Lata if he studies very hard. The obvious implication is that once he studies hard, he will become a great success, achieving a new economic class status that will put him on par with rich people like Lata. That’s a nice story – or myth, maybe – that you hear a lot here in America, probably in India too these days. But Anmol Ghadi is blackly humorous in the way that it defies those Horatio Alger-type expectations. Our hero does not become a big success from his education, because his education only increases his love for things that will never make him a financial success, such as poetry and music. Rather than trying to make money, he’d rather sit around and read beautiful words all day. And while he has acquired a sort of skill, building sitars, he’s so caught up in being a perfectionist about it (and probably daydreaming a lot besides), that he takes much too long to make a sitar for anyone. Now, some critics out there got annoyed by this hero’s very non-heroic nature, but I just love him exactly because of it. In the middle of all this, we also get treated to a love triangle, spurred on by incredible coincidence. (And remember, Anmol Ghadi indulged in incredible coincidence long before the other films you saw!) 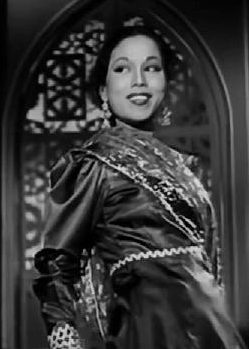 Just coincidentally, it so happens, Lata has a good friend, Basanti (played by Suraiya) who falls in love with Chander when she goes to his shop to get her sitar fixed. (Chander insults her about her incompetence at sitar playing, which of course causes her to longingly dream of becoming his student.) Personally, I thought this side of the triangle was relatively lacking, but maybe that’s the point, because Lata is so much more intense and compelling than Basanti. On the other hand, Basanti says some good lines in the movie (she is no dummy) and she also is pretty enough, especially at that time when her image appears in front a great arty background while it is being brilliantly reflected by the lid of the piano.. But Chander doesn’t die a horrible death himself (at least not yet) when the movie ends. And if the very ending isn’t overwhelmingly tragic (this is not Mother India), it isn’t really happy, either. (By the way, I won’t spoil the ending here – even though it isn’t exactly a surprise…) The main reason it’s not happy is that this is not a film about overcoming the odds to become a great success; it’s more about people who are not able to overcome the odds, especially if they are poor. But wealthy people can also be trapped by conventions that are determined by class. This is evidenced by poor (though rich) Lata. She is not at all happy toward the end, when the problems pile up and she must deal with her own social limits. And as I’ve probably said before, I greatly enjoy the kind of movie that can at the same time be a fine “musical” (as we in the west would call it), a romantic melodrama, and a sobering (though some would say “depressing”) comment on class. That’s a big reason why I love (very) old Hindi movies! But Anmol Ghadi should have a lot to offer you whether or not you want to see so much emphasis on people’s thwarted desires, and whether or not you would rather see more heroic heroes. There is a lot of stuff packed into this film made in 1946, much of it presaging later movies. Of course, I had a big reason to expect to love this movie right from the start. But I’m pretty sure that I would consider this a classic even if (big “if’!) I had not become a fan of Noor Jehan. 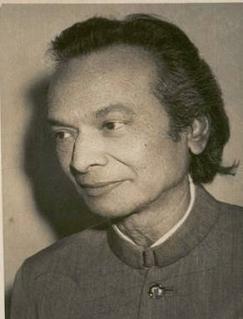 Mohammed Shafi. Film directed by S. K. Ojha, starring Nargis, Dilip Kumar, Jeevan, K.N. Singh, Sitara, and Balraj Sahni.